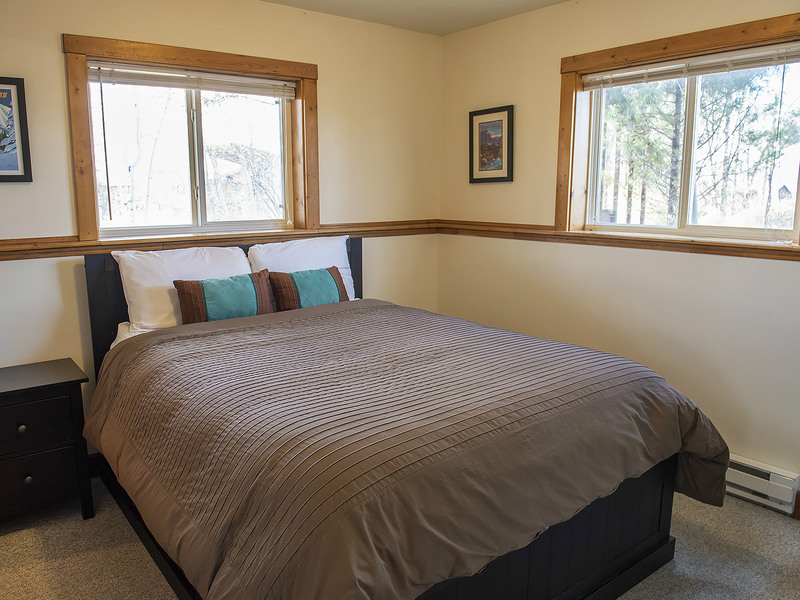 824 sq ft condo at the end of a dirt road just off Ski Hill Rd on the way to Grand Targhee. 2 bedrooms, sleeps 4. 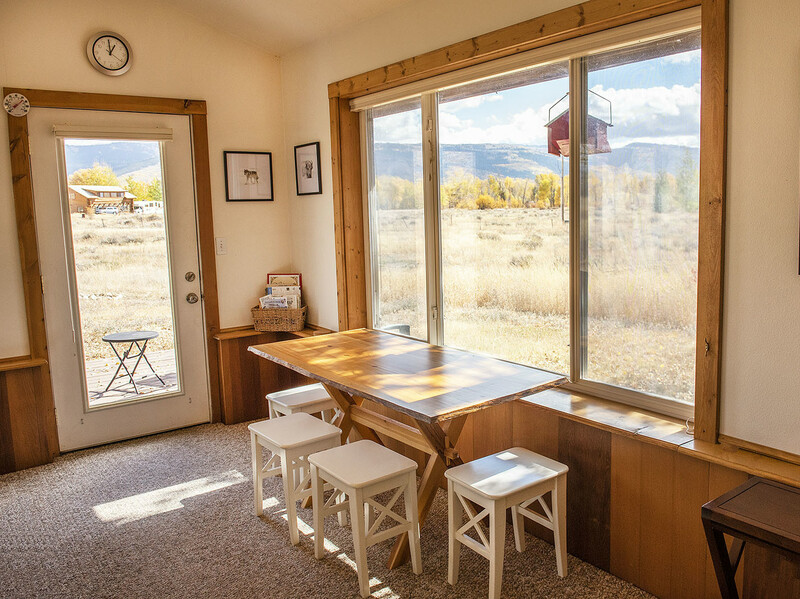 Enjoy mountain views from Wallaby Hollow, quietly nestled at the end of a dirt road on an acre and a half of land with great old trees in the heart of Teton Valley. Access to neighborhood walking path, centrally located to all the amenities and charm of Driggs Idaho. Manual wheelchair friendly. Not for motorized wheelchairs and not ADA approved. 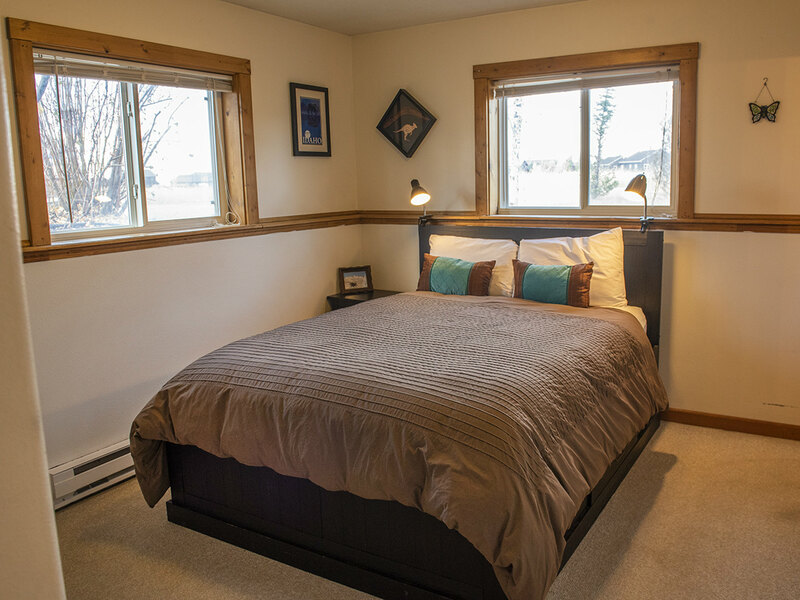 Two bedrooms, each with one cozy queen bed. 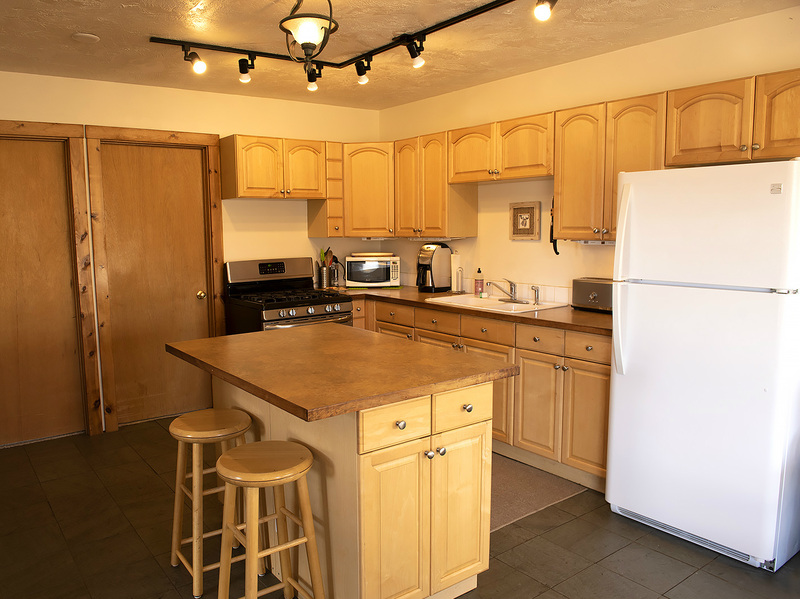 Well equipped kitchen has propane cook stove, microwave, coffee maker, blender, toaster, dishes, and cookware. No dishwasher. Outdoor charcoal and propane BBQ's. 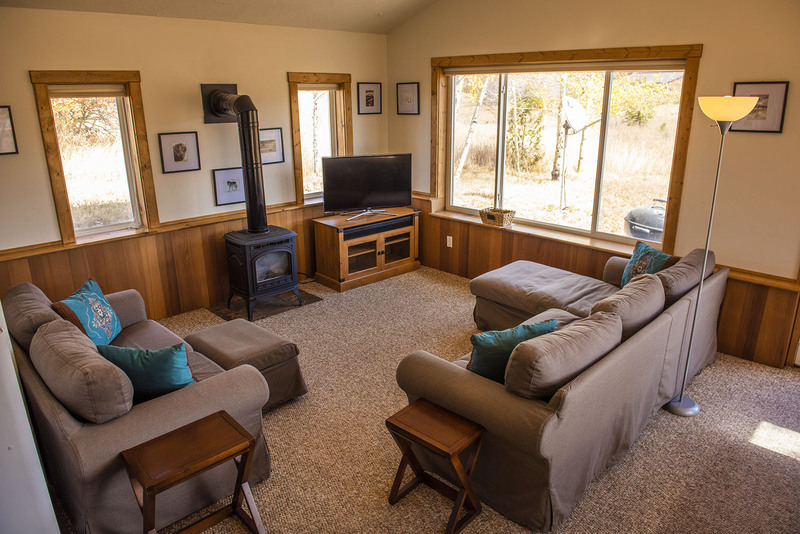 Propane flame stove and comfortable furnishings provide homey relaxation after a day of exploring Teton Valley. Large flat screen TV with Panasonic theater quality speaker and Blue Ray player. Sling TV subscription with access to NetFlix, Hulu, etc. WiFi internet. 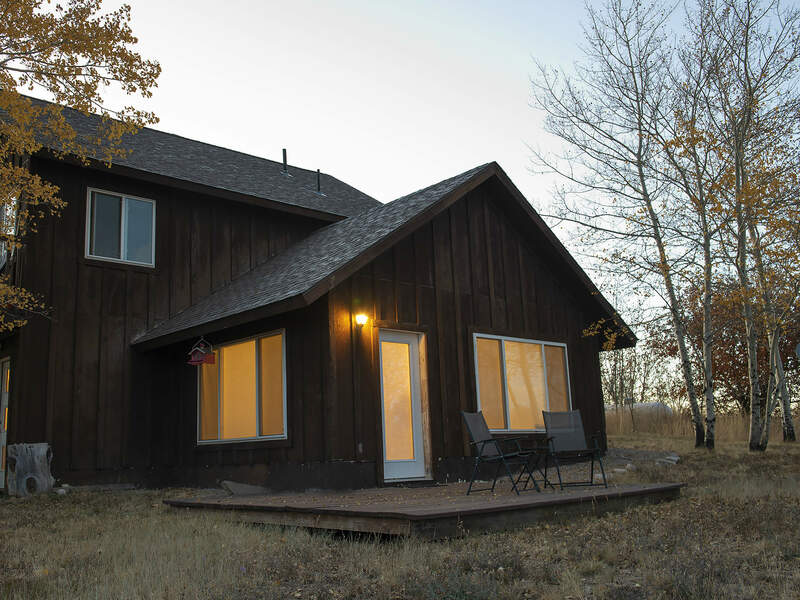 With awe-inspiring mountain views, this lower level home is wheelchair friendly and conveniently located close to Driggs. Homeowner does use a manual wheelchair (max. seat width 16"), ramp leads to front door. Doorways are narrower than some wheelchairs may need for access.